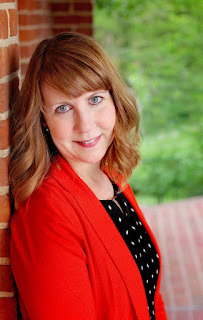 What's Happening in Kristi's World? I decided to take a step away from my soap boxes and fill you in on some nifty things happening with me, er should I say Badge of Hope! First of all, I realized that I never posted my Cops on Top pics, as I was too distracted by this crazy, upside down world we are living in. 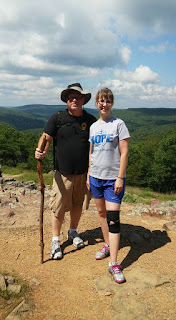 However, we climbed...we conquered...we reached the summit, and had fun along the way. 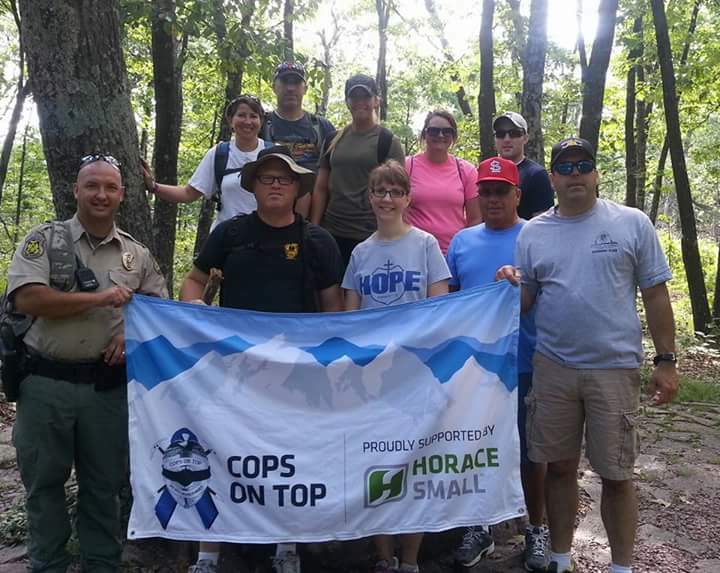 What a great event to raise awareness and money for our fallen officers and the families they have left behind. 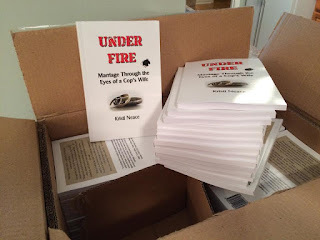 Second, if you haven't heard by now, my newest book, Under Fire: Marriage Through the Eyes of a Cop's Wife, is out and doing well. 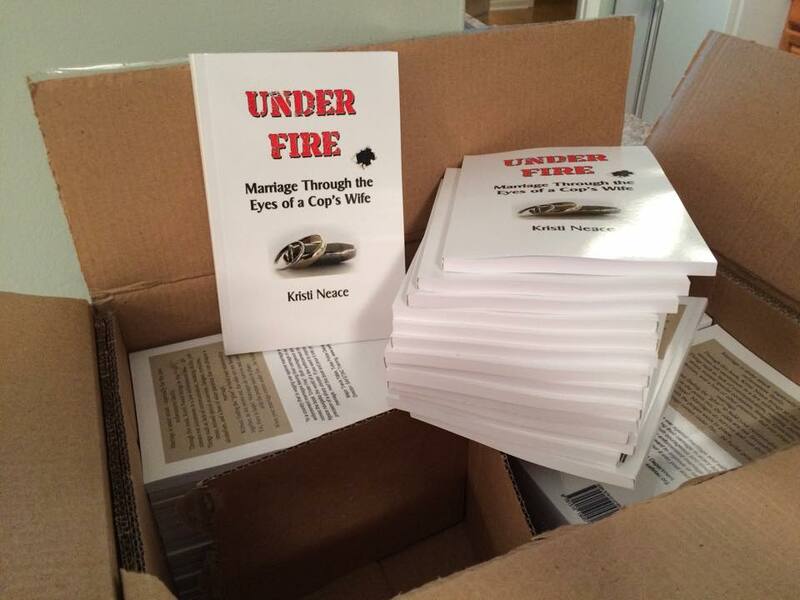 Thanks to a good friend and fellow police wife, a box of these books are going to Trussville, Alabama PD. They will be delivered as part of a Family Appreciation Day by a service organization. 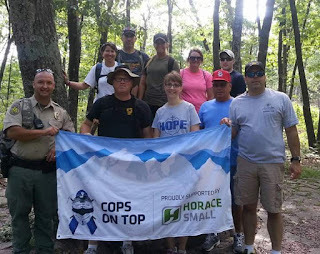 Thanks to this group and my friend, for getting the message out there!! Finally, God is opening doors right and left for this ministry. Rick and I have been counseling a number of law enforcement folks (officers and spouses) having marital difficulties. God is so good to bring them into our path and it is our prayer that healing will begin and these families restored. Oh, did I mention the HUGE conference we are having in Olathe, KS in a little over a week? Yeah, it's going to be big. Again, God has flung open the flood gate and many are coming, with three states represented. I will definitely share with you the day's events in a not-so-future blog. Well...that about wraps it up. Please keep us in your thoughts and prayers. Carry on. Stand firm. Hold the line.